Successful management of a diverse workforce is one of the most important global challenges faced by corporate leaders, human resource managers, and management consultants. 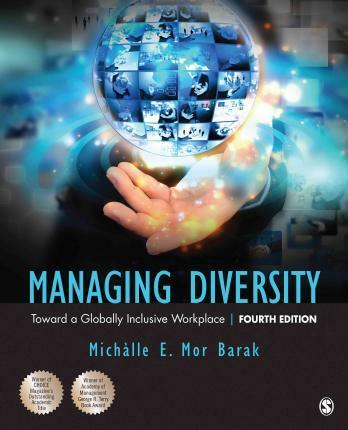 Offering original coverage of the historical and theoretical foundations that have led to today's practice of managing diversity in the workplace, this bestseller offers an original model for a globally inclusive workplace, bringing concepts to life with real-world situations. Provides a comprehensive model for an inclusive workplace with a fully utilized workforce. Case Illustration: Level I-Inclusion Through Diversity Within Work Organizations-Denny's, Inc. Award-winning author Michalle E. Mor Barak, PhD is the Dean's Endowed Professor of Social Work and Business in a Global Society at the University of Southern California in Los Angeles with a joint appointment at the School of Social Work and the Marshall School of Business.